Introduction: The Nagaland Industrial Raw Materials & Supply Corporation (NIRMSC) Ltd., Dimapur, is a govt. 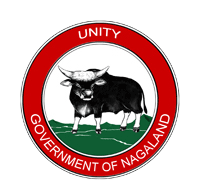 of Nagaland Undertaking, established in March, 1973 and fully taken over by the State Government under Industries & Commerce Department since January, 1978. Objectives: The main purpose of setting up of NIRMSC Ltd. by the State Government is to act as nodal agent to procure and supply industrial raw materials to the SSI Units and other consumers of the State. 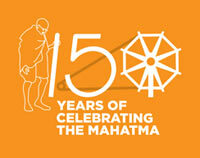 The Corporation is also authorized to carry on business and to act as commission agent in any capacity. Past Activities & Achievements: NIRMSC was doing well in the past and could construct its own Office Building and Godown from its own earnings. But with recession, it has come to a stand-still without a single business exercise in hand. the country but due to some social problems, particularly the traders from the main stream are reluctant/not in position to trade directly with the local miners, thus the local entrepreneurs’ bulk of their monetary benefits, supposed to be theirs, go to the hands of immediate neighbor middlemen who mingle with local miners on the pretext of for their monetary gains without investing any and sell the consignments to the ultimate buyers from the mainstream on the backyard of miners who could do nothing. The NIRMSC with its experience would like to act as facilitators between the buyers and sellers with minimum efforts and service charge that would generate income to Corporation and in the process it would assist the local entrepreneurs in marketing their products and maintain consistency of trading and do away the menace of non-local middlemen. However, to venture in this business as start-up it requires some working capital.